When you land at the North Cascades Lodge at Stehekin, you know you’ve arrived in nature’s paradise. 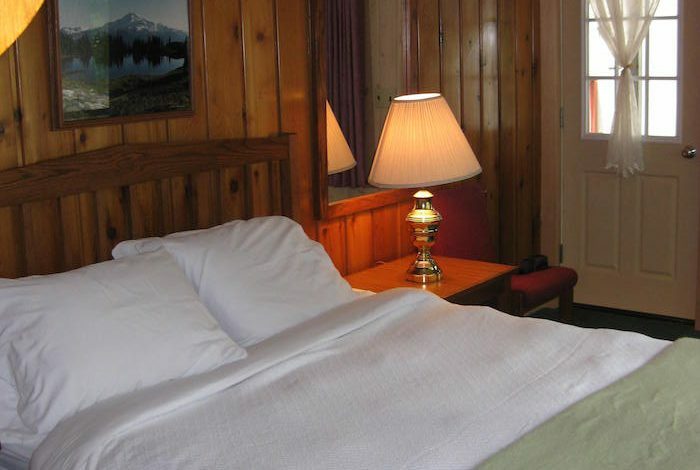 Our 27-room rustic lodge on the shore of the 50-mile-long Lake Chelan offers quiet and comfortable accommodations with rooms varying in size and layouts. Rooms with kitchens are also available. 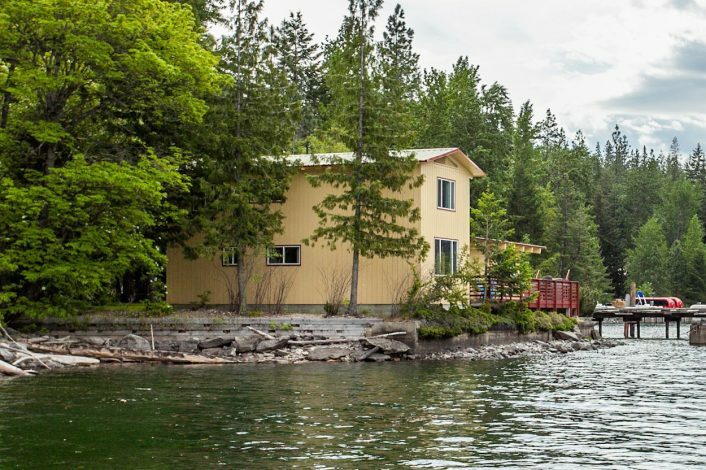 For those needing room to spread out, our fully furnished Lake House sleeps up to 12 and features a private deck with a barbecue grill and hot tub. All of our rooms are smoke free, and ADA-accessible room is available, along with pet-friendly rooms (fees apply). Housekeeping services are provided every third day. 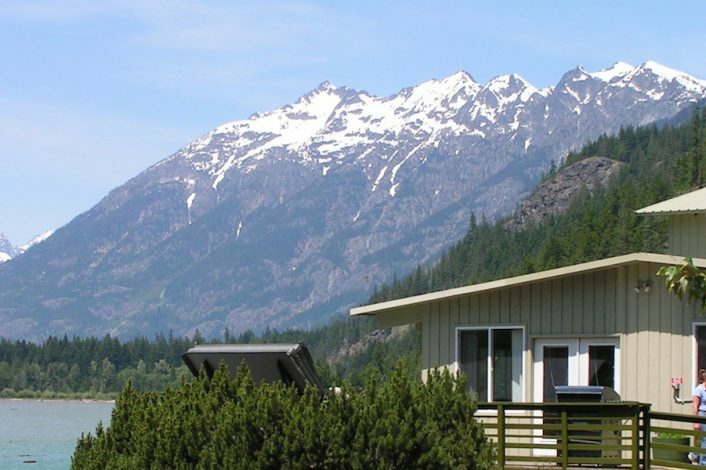 GETTING TO STEHEKIN: We love our isolation, but it takes some extra planning for our guests. To get to Stehekin our guests must plan to take The Lady of the Lake (boat ferry) from Chelan, or make the beautiful 23 mile hike from Highway 20 to High Bridge where you hop on the red bus to Stehekin. 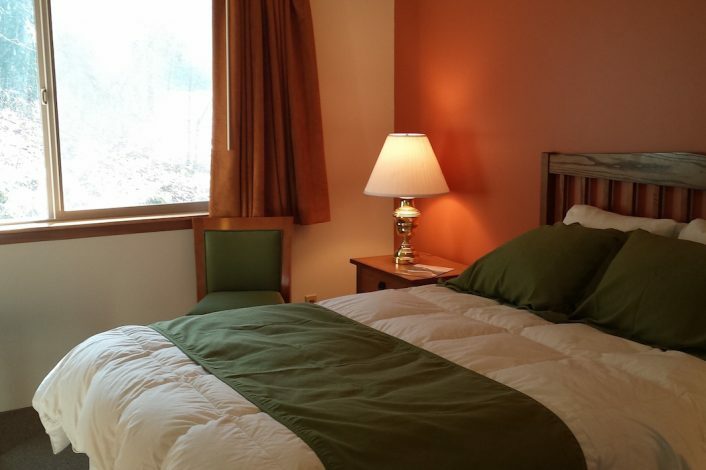 Our Swissmont units offer standard rooms of varying sizes for options that sleep 3 to 7 people. Each guestroom faces northwest to provide a beautiful view of Lake Chelan from your balcony or deck. We offer 4 spacious cabins with fully equipped kitchens. Each cabin faces northwest, has a private entrance and a private deck to enjoy gorgeous views of Lake Chelan. Our fully furnished Lake House sits directly on the shore of beautiful Lake Chelan providing stunning views in all directions. Great option for families and groups. 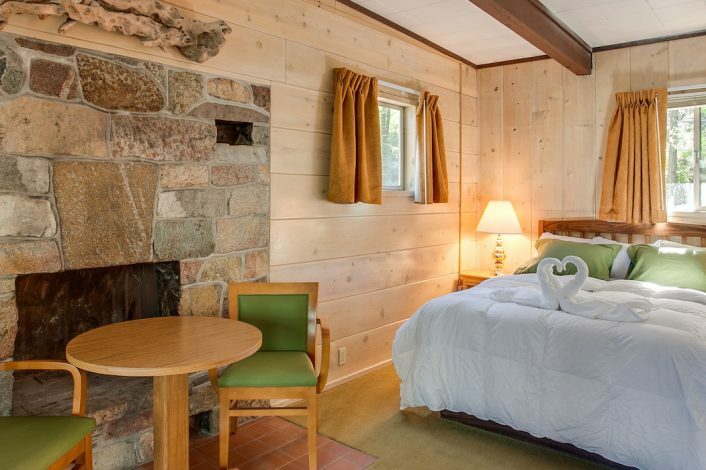 We offer 2 additional standard ground level guestrooms located directly behind our kitchen cabins. Each room sleeps two. Attached to the main Lodge, Alpine guestrooms have limited views, yet there is easy access to the Lodge, lobby, and restaurant. All rooms comfortably sleep 2.